Tatiana Garcia, a former intern for the National Institutes for Water Resources-U.S. Geological Survey (NIWR-USGS) and now a full-time research hydrologist at the USGS Illinois-Iowa Water Science Center, recently hired NIWR intern Santiago Santacruz. Santiago will be working with Tatiana modeling Asian carp egg movement in the Sandusky River (tributary to Lake Erie) where grass carp, a species of invasive Asian carp, have successfully reproduced. 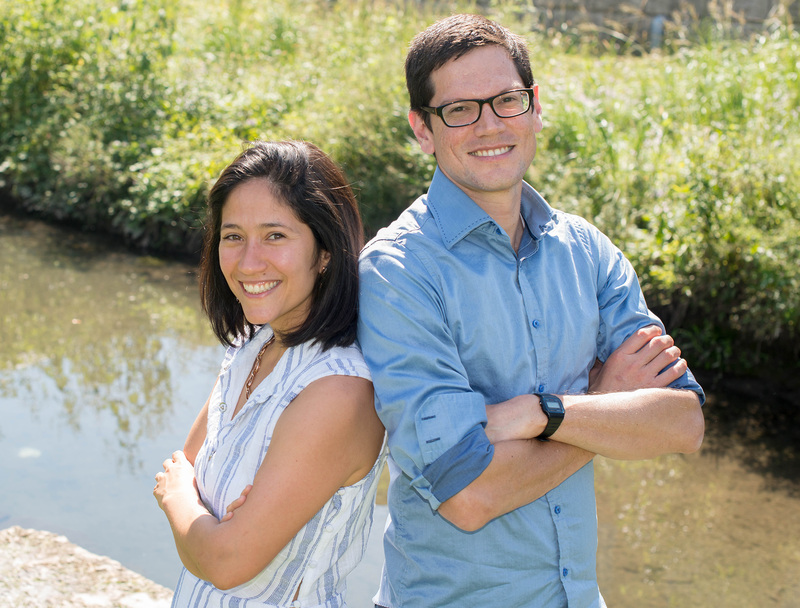 Although both arrived at the University of Illinois from their native Colombia more than five years ago with similar professional research pursuits in hydrology, neither had set out to study carp specifically. At USGS, Santiago has focused his work on a hydraulic model of the Sandusky River to simulate the river conditions during spawning events of grass carp, a species of Asian carp. The results are the input for another model developed by Tatiana for her PhD to simulate the transport of eggs in rivers (FluEgg). In this manner, they aim to determine the flow conditions leading to grass carp recruitment success or failure in the Sandusky River. The results from this study and a similar one in the Illinois River may help thwart the spread of Asian carp towards the Great Lakes basin.